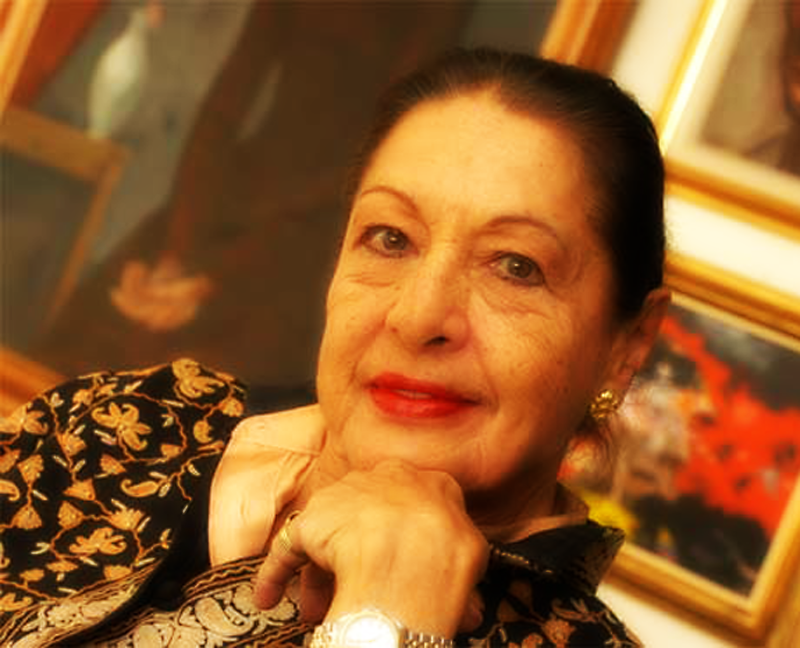 A member of one of Colombia’s oldest families, Sonia Osorio was the daughter of author, playwright and journalist Luis Enrique Osorio, the forerunner of modern theater in Colombia, and the great-great granddaughter of Alejandro Osorio Uribe, the first Mayor of Bogota and Secretary of State to Simon Bolivar. Her professions included journalism, design and choreography. In addition to the Colombia National Ballet, Ms. Osorio was known for using her vast knowledge of universal folklore to stage spectacles at the Barranquilla Carnival for 30 years. Her studies have always been oriented toward dance and creative methodology.